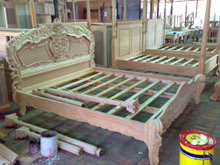 We have been manufacturing fine mahogany furniture using solid woods and traditional handcrafted methods and finishes. 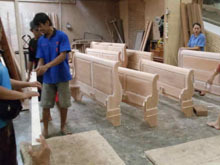 We use only the best grade wood and our polishing process that is certainly done by hand is considered the among the finest in the industry. 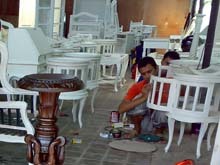 We have the ability of finishing of our furniture product using the touch of experience and dedicated handicraft, that will assure of our commitment to your satisfaction. Lead times are around 75 days from receipt of deposit. 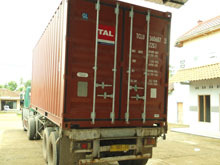 This is an average time taken process, manufacture, finish, wrap and loading container. It can take longer or less time to complete. 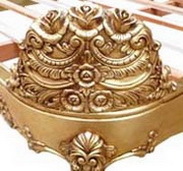 In the case of bespoke or made to measure item, from final approval of drawings. 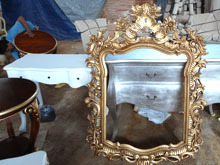 Some more complex bespoke items may take longer. 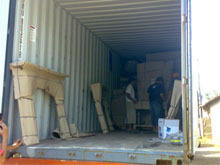 - 1 x 20 ft Container = 75 days ( not included with shipping time ). - 1 x 40 ft / HC Containers = 85 days ( not included with shipping time ). 2 x 40 ft Container / month. 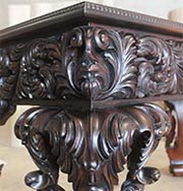 All pieces of furniture made from highly selected raw materials which as base of a high quality furniture which we buy from legal government wood plantations under strict quality control. 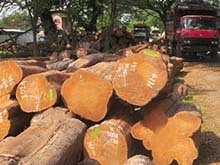 Selected plank of mahogany wood are kiln dried for 2 weeks before construction can begin. 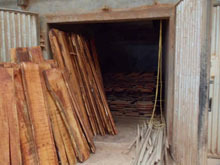 Several kiln dried are use to speed production. 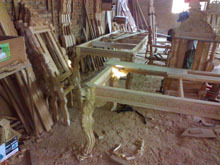 Raw wood is given to our best craftsmen and supplier who in turn manufacture a good quality of furniture, designed with the highest construction standards, ensuring comfort and durability. 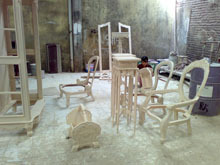 All antiques are made with beautiful hand carving by skillful craftsmen from Jepara - Indonesia. 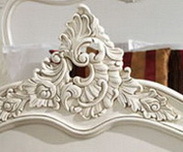 Our carving detail exactly looks French styles with beautiful carved features. 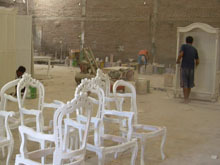 Raw furniture is treated with chemical in order to avoid termites, larval wood worm and other insect. The polish department where our professional polish supervisor and his team member finish the raw furniture with various colors and finishing techniques, depend on the request. 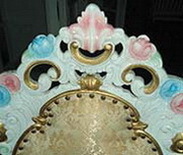 Finishing system mostly use is NC/Spray and hand stain system, with some color choices: stain color, paint color, gold leaf, etc. Some antique effect are applied to make antique for the future. Finished goods go under the quality control department, where goods are check in every detail. Further QC prior to packing in the repair area. 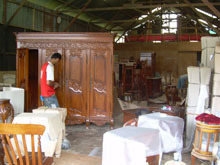 Good quality furniture go under the packaging department where goods are packed in professional manner where every point keep in mind in order to avoid any breaking and damage. Ready for transport to the docking terminal in Semarang Port. With a medium production space, the capacity is 2 X 40 ft Container per month.